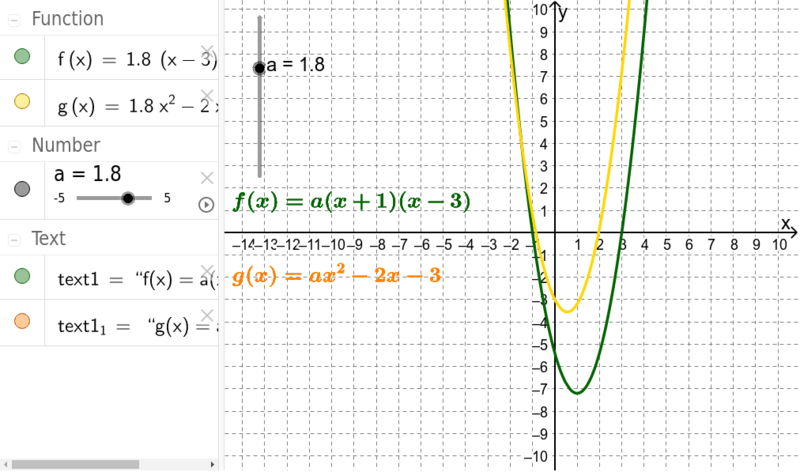 Writing Quadratic Functions - Does "a" Matter? Use the slider to adjust the value of a. As you do, watch the graphs of f(x) and g(x). Does changing the value of a change the zeros of f(x), a function in factored form? Does changing the value of a change the zeros of g(x), a function in standard form?